Early In March, Attorney General Eric Holder told the Senate Judiciary Committee he and his Department of Justice were, essentially, unable to prosecute crime. He told the Senators, without any irony at all, that certain private institutions were simply too big to prosecute. He is, of course, talking about banks—a specific bank in this case, but we’ll come to that. Holder’s statement begs the question, if banks have been acknowledged as too big to fail and, if he has extended the ‘too big’ franchise to prosecution for crimes, can too big to audit be far behind? Perhaps they are like mastodons and too damned big to do anything with, short of waiting out their inevitable extinction. 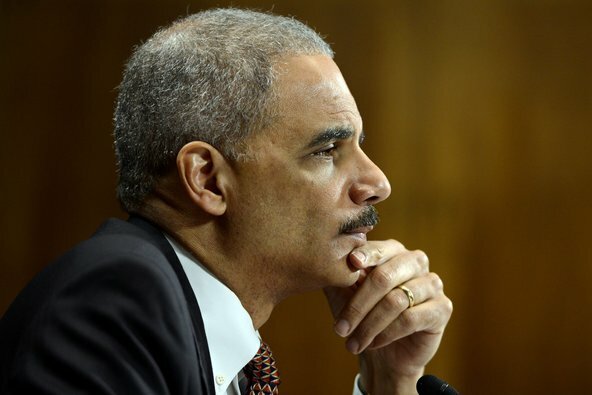 Mr. Holder’s statement has been met with everything from incredulity to outrage, yet I see a note of bravery in his public statement, perhaps even patriotism. This man, charged with enforcement of the law and administration of justice, told the Senate (and the rest of the country) what we had all suspected and refused to acknowledge: we are on a track of too big taking over the subsidiary corporate interests that once operated within, rather than outside, the constitutional rights of we, the people. Justice is now not only blind, but has a weight problem. No irony in that, in a nation fighting obesity. Conservative will scream another Obama scheme, but that’s okay, I’m all in favor of anybody who screams about that particular issue. Besides, too big to fail was invented during Bush’s last years, in the TARP program. It followed too important to leave the hell alone (Iraq) and too mind-boggling to finance (both the Afghan and Iraq wars). Other subjects for other commentary, let’s return to Holder’s too big. HSBC is a British multinational banking and financial services company headquartered in London and it’s big in a big way, with 7,200 offices in 85 countries and territories across Africa, Asia, Europe, North and South America. Interestingly, it’s a British rather than American bank, but again, size like obesity is an international problem. To cut to the chase, they got caught with their fingers in some very dicey and blatantly illegal dealings in their American division and were breaking American law in the bargain. They admitted as much. The charges? Money-laundering--over 17,000 alerts identifying suspicious activity, including failure to file timely suspicious activity reports with U.S. law enforcement. A three year failure by HSBC (US) from mid-2006 to mid-2009 to conduct any AML (Anti Money Laundering) controls over $15 billion in bulk cash transactions from HSBC affiliates, along with a failure to monitor $60 trillion in annual wire transfers. Wow, $60 trillion going who-knows-where? HSBC set up offshore accounts in Jersey (a British tax-free haven) for suspected drug-dealers and other criminals. Abetting terrorism--they’ve further been accused of laundering money for terrorist groups. So, Eric Holder is probably getting tired of this useless and debilitating workload for his staff. It takes a lot of staff-hours to prepare such an ironclad case that the defendant doesn’t even dare litigate. Then a slap on the wrist, let off scot free to continue business in the country whose laws it broke and whose citizens (not being too big to prosecute) would spend decades in jail for the same crime. It shouldn’t have been and somehow I think it wasn’t. It takes courage to lay your job and reputation on the line. Thanks for that. Some of us heard it.